Home » Product Reviews » Supplements » What Vitamins Should a 30 Year Old Woman Take? What vitamin supplements should a 30 year old woman take? This post shares information and recommendations for women of child-bearing age. Do You Wonder Which Vitamins You Should Be Taking? I often get asked questions about supplements, including which vitamins women should be taking. The world of supplements can be overwhelming since there are so many to choose from! 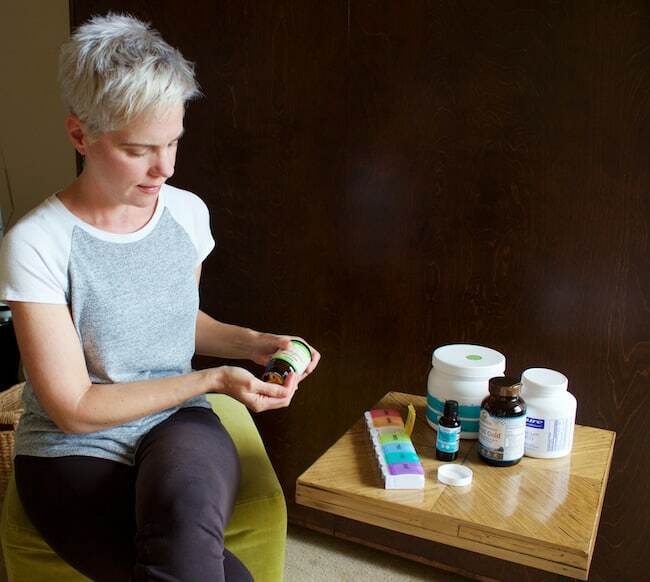 Most people don’t know where to start, so that’s why I’m offering my thoughts on which vitamins women might want to consider. Disclaimer: As always, please do consult your healthcare provider before making changes to your diet or supplement routine. As a clean eating specialist, I always recommend starting with a diet rich in nutrient-dense, organic, real foods as the basis of a healthy lifestyle. However, for many women, diet alone may not be enough. There are a lot of reasons why you might want to add vitamins and supplements to your healthy lifestyle routine. We got through so many phases in our life that demand varying levels of nutrients. So many women are overcoming health issues. Some women are experiencing hormonal changes due to pregnancy or perimenopause. Some women have genetic variations and feel better when they supplement with certain methylated vitamins. Then there’s the soil in which our crops are grown. Today’s soil is more depleted of vitamins and minerals than it was generations ago due to modern farming practices, even if it is certified organic. That’s why I’ve chosen to focus on what supplements would be ideal for a woman in her 30s to take. 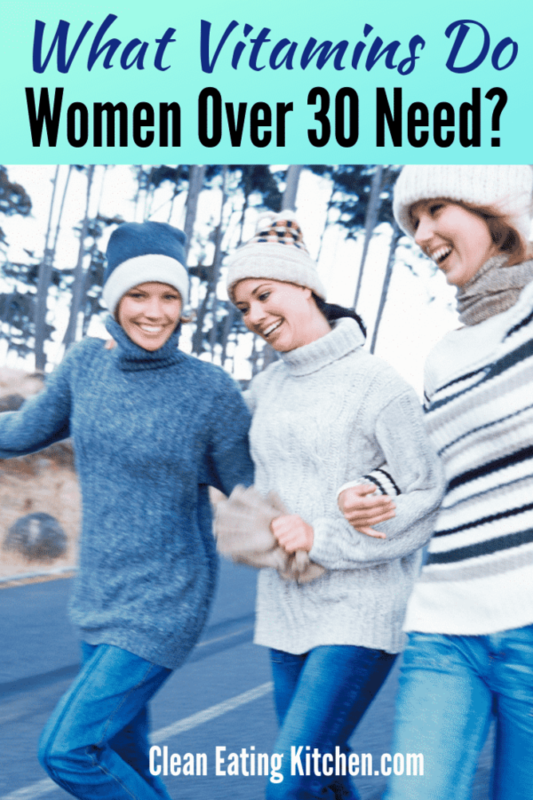 This article is appropriate for most women in our child-bearing years and I’ll be doing a future post on recommended supplements for women over 50 soon. Also, fyi, today’s post is sponsored by one of my favorite online resources for health foods and supplements, Vitacost.com (some affiliate links included)! Women are generally considered to be of childbearing age between our late teens to late 40s, so we need to factor in special considerations when deciding which vitamin supplements to take. and replenishing vitamins and minerals that have been depleted due to birth control, other medications, life stressors, exercise, food choices, and more. Here’s a basic overview of what I consider the best vitamins and minerals for a woman in her 30s, or any woman of childbearing age. I’ve done my best to pick products that are all gluten-free and dairy-free, with a minimal amount of fillers and excess nutrients. B-Vitamins: The various B-vitamins are important cofactors for many body processes. B-vitamins are most often associated with having energy, but they’re actually important for mood and preventing depression too! It’s estimated that nearly 40% of the population has an MTHFR genetic mutation. Most people who have this genetic mutation don’t know they have it, and it’s not necessarily a bad thing. However, it does compromise B-vitamin absorption and usage. For this reason, I actually recommend that women consuming B-vitamins opt for the methylated kind. One way to spot a methylated B-complex is to turn the label over to the ingredients list and look for the form of B-12 that says methylcobalamin. Don’t use a B-complex that says cyanocobalamin. This form is not methylated and may do more harm than good if you’re one of the estimated 40% of women with the MTHFR gene mutation. B-vitamins are water-soluble so what you don’t use will just get washed out of your body. That said, it’s important to find a quality B-vitamin brand that doesn’t have a ton of fillers or extra ingredients, in addition to having the most absorbable forms of B-vitamins. Iron: Anemia is the most common nutritional disorder worldwide. The World Health Organization estimates that 30% of non-pregnant women are anemic and 40% of pregnant women are anemic, meaning that people do not have enough iron in their diets. Being anemic can cause tiredness, insomnia, restless leg, headaches, and overall loss of energy. Most women don’t know that even being low in iron stores and not technically anemic can result in symptoms, including hair loss and low energy. It is likely that most menstruating, pregnant, or postnatal women are low in iron stores, so it’s vitally important to have your ferritin level checked on a blood test ordered by your doctor, and then to supplement with iron if your levels aren’t between 40-70 mcg/L. I recommend checking your ferritin levels at least once a year, if not more often, because there are health risks involved with both under- and over-supplementing with iron. Be sure to take your iron supplement with food to prevent stomach upset, and it’s also a good idea to take it at a different time of day than when you take your calcium supplement, and any thyroid hormone replacement. Vitamin D: There’s a vitamin D deficiency epidemic among all Americans, both men and women. Vitamin D is known as the sunshine vitamin because we can generally make it from exposure to sunlight. However, many of us are covering up or lathering on the SPF to block UV rays. There are also many of us who work indoors quite a bit and don’t have access to enough sunshine daily. Heck, even where you live can determine how much exposure to sunlight you can get throughout the year. Vitamin D actually acts more like a hormone than a nutrient in the body. It’s been called the key that unlocks so many important functions in the body. Not only is vitamin D important for absorbing calcium, but a deficiency in vitamin D has been linked to various disorders such as certain cancers, autoimmune disorders and mood disorders. A simple blood test called a 25-hydroxyvitamin D test can tell you if you have a deficiency. If your score on this test shows vitamin D levels less than 40, it is best to supplement with extra vitamin D. Your doctor will have a recommendation for how much vitamin D you should take based on your current levels. Once you start supplementing with vitamin D, it’s a good idea to re-test your levels in about 6-8 weeks, and then every 6 months or so thereafter. Omega 3 Fatty Acids: The fatty acids from omega-3s (DHA and EPA) are considered essential fatty acids. This means that our bodies cannot produce them on their own, so we need to get them from food or supplements. Salmon and other cold water fatty fish are excellent sources of omega 3 fatty acids. However, supplementation is often recommended to ensure we’re getting enough of these essential fatty acids. Several studies have shown omega 3 fatty acids to benefit us by fighting depression and anxiety, improving eye health, reducing risk factors of heart disease, controlling symptoms of ADHD in children, reducing symptoms of metabolic syndrome, and fighting chronic inflammation. Krill oil is a more sustainable source of omega-3 fatty acids than regular fish oil, and is the type of omega-3 fatty acid I take myself. An estimated 70-90% of the US population is deficient in magnesium. The main reasons are not eating enough unprocessed foods, magnesium depletion in the soil, and the over-consumption of processed foods that block magnesium absorption. This mineral is an important one because our bodies depend on it as a cofactor for over 300 bodily processes. People with magnesium deficiency may experience muscle cramps, unexplained fatigue, mood disorders, high blood pressure, irregular heartbeat, nausea, and muscle weakness. 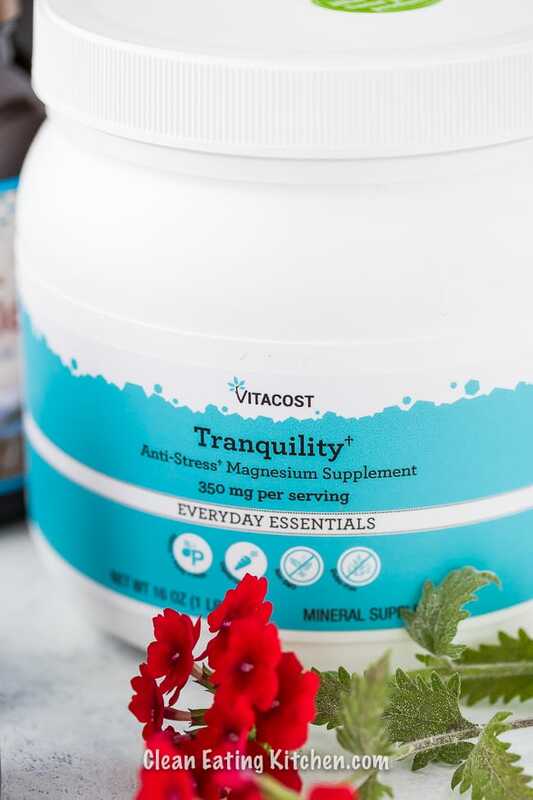 You can read another article on my site that talks about how magnesium supplementation can benefit anxiety, insomnia, migraines and PMS symptoms. There are many forms of magnesium. I generally recommend magnesium glycinate as the overall best form since this is the one that most people can absorb and use best. For constipation and restlessness at night, magnesium citrate can be helpful. Probiotics: Many women have taken at least several rounds of antibiotics by the time we reach our 30s. Antibiotic consumption can disrupt the gut microbiome and can lead to leaky gut and other serious conditions. Other factors can disrupt the gut microbiome include eating a diet too low in healthy fat, eating a diet high in processed foods, food sensitivities or allergies, and stress. Probiotic supplementation is helpful because these “friendly” bacteria help to keep our guts healthy. 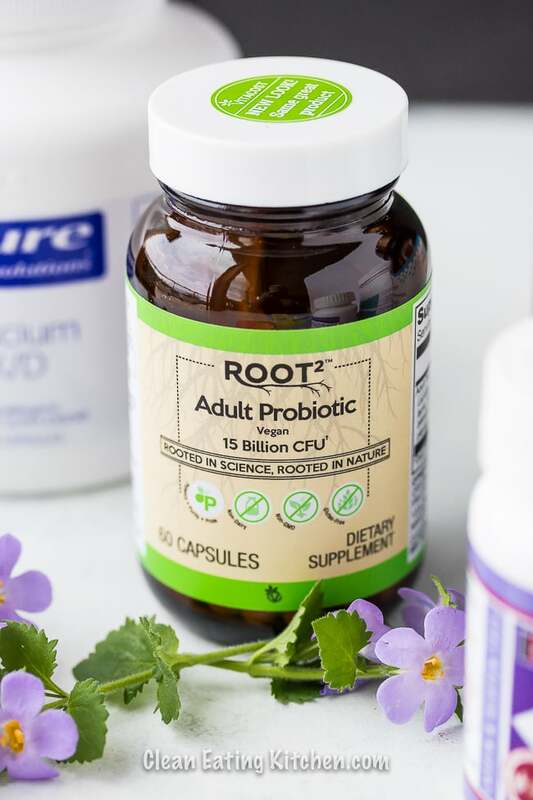 Other benefits of probiotic consumption include reduced occurrence of irritable bowel syndrome, diarrhea, urinary tract infections, infections of the digestive tract, and eczema. Calcium + K2: Calcium is important for bone health. Our muscles and nerves also need calcium to function optimally. Calcium has also been shown to protect against certain cancers, diabetes, and high blood pressure. Some women may require extra calcium supplementation if they avoid calcium rich foods (such as dairy products) or know they are at higher risk for osteoporosis. Calcium supplementation is tricky. If not done properly, calcium supplementation can put you at risk for kidney stones, hardened blood vessels, and heart disease. For this reason, I generally recommend that women who are supplementing with calcium take an added K2 supplement along with it. Vitamin K2 has been shown to help calcium go where it’s intended to go, such as the bones. Other K2 benefits are that it can reduce the appearance of wrinkles and varicose veins, help regulate blood sugar, improve exercise performance, help with symptoms of polycystic ovary syndrome (PCOS), and prevent kidney stones. Prenatal: Prenatal vitamins are multivitamins specifically formulated for women of childbearing age. Prenatals contain more folate and iron than a standard multivitamin since these are vitamins needed for better baby development. The iron boost will also help prevent anemia from blood loss during delivery. It’s important to look for a prenatal that contains good levels of zinc, copper, iodine and vitamin D as well. And, please don’t buy prenatals that contain folic acid, look for folate instead. Those are my top 8 vitamins for a women in her 30s, or any woman in her child-bearing years. Of course, we’re all individuals, so you might take fewer or more depending on a number of factors. I tried to include a good mix of brands that meet my standards for both quality and price. In many cases, you get what you pay for when it comes to supplements, so it’s a good idea to read the labels. 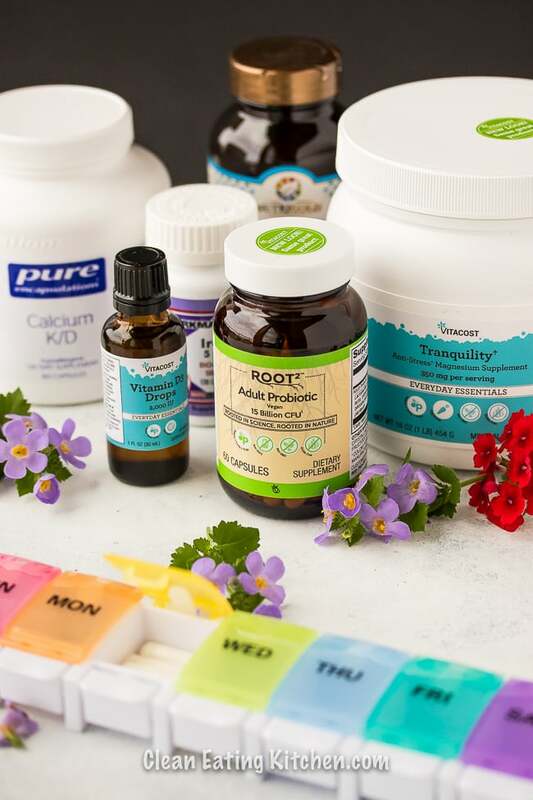 Also, since we’re talking about taking a minimum of eight different vitamins a day, I recommend buying a weekly supplement box that you refill at the beginning of each week. This makes it SO much easier to manage the various vitamin supplements. I like this weekly supplement box with pretty colored boxes for each day. Here are some commonly-asked questions regarding vitamin supplements for women in their 30s. How do I chose a vitamin brand? You get what you pay for! This is especially true in the world of supplements. If you want higher quality supplements, you need to expect to pay a little bit more. I don’t usually recommend vitamins from big box stores or local drug stores. If you’re sensitive to gluten, soy, dairy, or any other allergens, be sure to read the label for those, as well. What is the best natural supplement brand? There are several brands that do things right. They use natural ingredients with very little or no fillers. See my list above for my favorite brand recommendations! When should I take my vitamins? Supplement companies put recommendations for usage on their product labels. It’s best to follow their guidelines. I generally recommend that most supplements be taken with meals unless stated otherwise. Vitamins like A, D, E, and K are fat-soluble and are best absorbed when consumed with a meal that contains a bit of healthy fat. If you take these vitamins on an empty stomach, they are less likely to be absorbed. If you’re taking a separate B-complex supplement, then this one is better to take on an empty stomach first thing in the morning. B-vitamins are water soluble. Some people can get an upset stomach when taking vitamins on an empty stomach. To avoid this, make sure you are taking these vitamins with at least 8 ounces of water, if not more. And then wait at least 30 minutes to consume anything else. I also don’t recommend taking supplements with caffeinated beverages since caffeine is a diuretic. Caffeine may prevent the absorption of certain vitamins and minerals. Giving yourself a 60-minute buffer between supplementation and caffeine consumption can ensure better absorption. If I eat a healthy diet, do I really need to take vitamins? Vitamin and mineral supplementation is highly individualized. A very limited number of people may not require extra supplementation if they’re eating a very healthy diet full of whole, unprocessed foods. Gut health status also determines what vitamins supplementation you might need. If someone has optimal stomach acid levels and no risk of leaky gut, then supplementation may not be necessary. However, the majority of women in their 30s do not have optimal digestion due to medications, caffeine consumption, low stomach acid, genetic mutations, past diet choices, hormonal status, and/or stress. Modern farming practices have also depleted soil of the amount of vitamins and minerals it once contained. So even if you’re eating a diet high in fruits and vegetables, these crops may not be as nutritionally dense as they once were generations ago. It’s best to start prenatal supplementation before you conceive. It’s a good idea for any woman of reproductive age to take a prenatal, even if she isn’t planning to conceive anytime soon. It’s safe to take prenatals during your entire pregnancy and beyond. Because prenatals contain higher doses of certain vitamins, some women may experience queasiness after taking them. If you experience this, make sure you are taking your prenatal with meals and plenty of water. It’s not safe to double up on prenatal consumption because of the higher doses of certain vitamins. Too much vitamin A can cause liver toxicity. 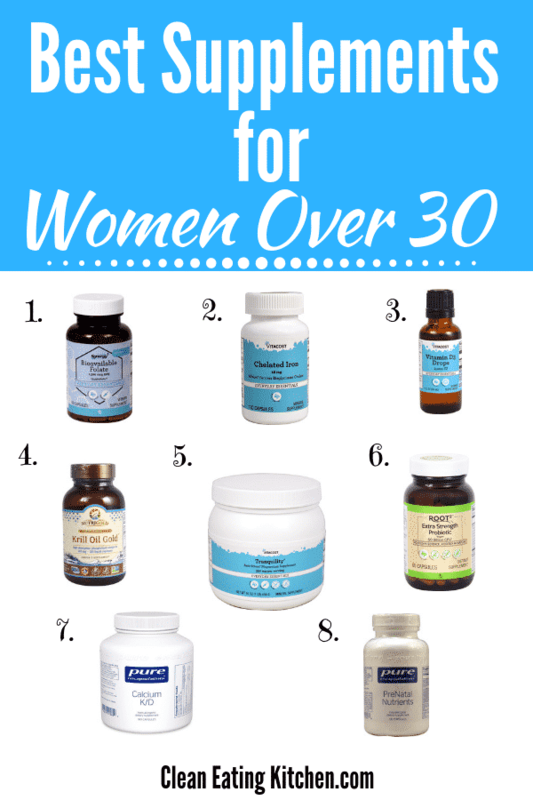 Be sure to pin this image of the best supplements for women over 30 to share this post on Pinterest! Great Information!! I definitely need to change a few things based on this information! Thank you for this great overview! I consistently take vitamin D (based on lab results) and try to vary my other supplements. I am curious about ubiquibol vs cow10. Thanks! I take several of these. My iron is PE Optiferin-C. I may try that probiotic. Looking forward to more posts like this one. I appreciate this information! I am taking magnesium based on my naturopath’s recommendation and find it has really helped. What a timely post! I’m listening to a healing foods summit this week and from so many presentations I learned I should probably be taking the methylated B vitamins and need a good B-complex. Also the magnesium glycinate is a form I want to try since I currently take the citrate form and do have absorption issues. 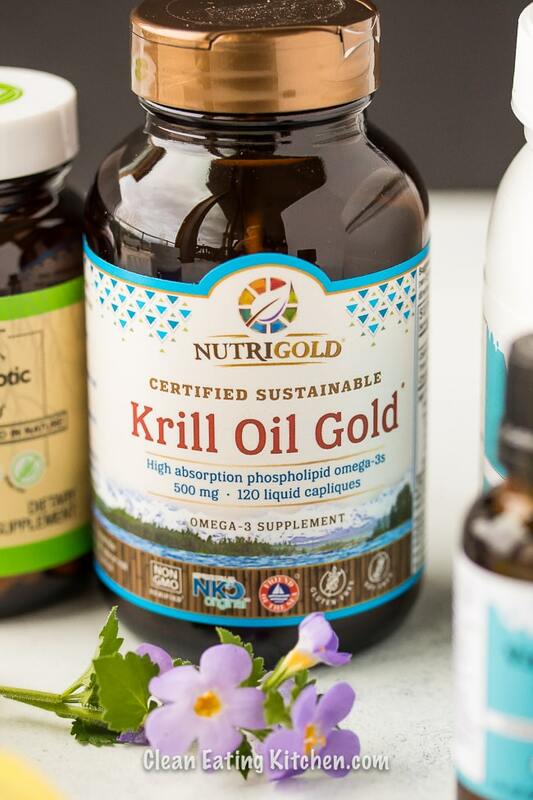 I want to try krill oil instead of my fish oil capsules too. I don’t know that much about krill oil so I’ll look into it more. Thanks for the recommendations! You’re so welcome, Deb! I’m glad the info was helpful. What healthy food summit were you listening to? I’m just curious! XO. 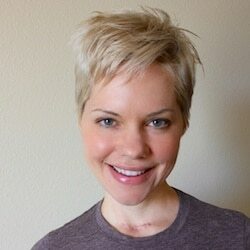 Oh yes, I am struggling to keep up with two at the same time right now: The Home Medicine Summit (tomorrow, 10/21 is the last day but here is the link anyone can listen for free for that day): https://homemedicinesummit.com/playing-live-today, and Healing Power of Food Summit runs two more days (https://healingpoweroffoodsummit.com/). The summits usually have an encore weekend or day that you can listen again for free, and each day runs 24 hours for the daily presenters (as seasoned summit listeners probably know!) Today Dr. Ben Lynch talked about methylation and reminded me I need supplements. Thanks again for the post and giveaway! Sorry if this is double posted! How interesting! Thanks for sharing those, Deb! I’m going to check them out. XO. Oh good! I just received an email today that the encore weekend for The Healing Power of Food Summit hosted by Dr, Michael Murray will be running October 26 through 28 this weekend. Hope some more people get to see this free! I checked out the line-up of speakers. It looks GREAT! Which ones did you listen to? XO. What a helpful post! I’m going to look into vitamin B now because that’s one I don’t take. Currently I take magnesium, vitamin D and a digestive enzyme since I don’t have a gull bladder. This was very informative. Thank you, Carrie. I’ve been taking a prenatal for many years now. I almost always have a vitamin D deficiency. Can you please tell me why the drops are better? I’ve always taken a pill. Thank you! Interesting article! I am really curious to learn more about magnesium for its calming effect. Anything that helps my anxiety and insomnia would be great. If you had to do without one of these supplements, which one would you eliminate? Thanks for the great summary, so informative. Vitamin B, especially B12 has been a game changer for me. Same for me, Sue! Thanks for the comment! I believe in Vitamin B-12 supplements which I have taken off and on for many years. Whenever I feel rundown I will use it and within a short time my energy returns. I take a liquid iron supplement, which is great. I currently take Vitamin C, D, collagen and Vitamin B6. I have chronic sinusitis and a mild allergy. In doing research I’ve read that some vitamins and supplements can help. I’m all for trying new things. Would like to learn more about the magnesium supplement.. I am looking for a new prenatal because I think they have the best supplements! Vitamin B has been amazing for me! Thank you for all the awesome information. High dose B complex gives me energy and focus without the side effects of caffeine (caffeine makes me feel ill and gives me horrible migraines) B vitamins don’t. 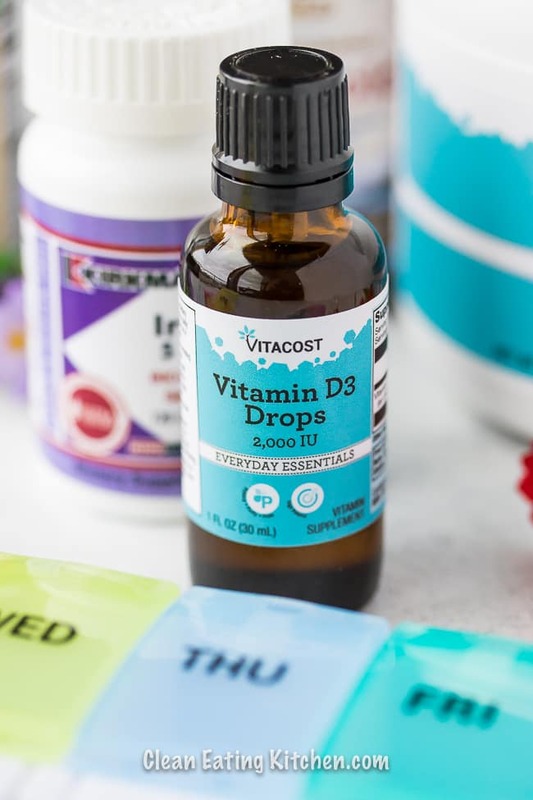 Vitamin D – although I don’t honestly Feel or see a difference when I take Vitamin D I KNOW it makes a difference because without it, my bloodwork shows low D and when I do take it, it doesn’t. I would like to know more about B vitamins! I believe in the vitamin b and calcium supplements. My oldest is lactose intolerant and get less calcium than she should since birth,so that is major for her. I believe in probiotics and Vitamin D……especially in the Winter months. I would like to know more about any supplements that might benefit my sleep. I take probiotics every day! I believe in vitamin D supplements! It makes such an impact when your vitamin D levels are low. I take Vitamin B/C/D daily as well as Magnesium (which has helped my insomnia). I feel great! Thanks for all the recommendations. I take vitamin D as of now. But as you say even organic products dont give us enough minerals and vitamins, looking to add a few more to my diet. I’ve been taking prenatal vitamins for years! Specifically for my hair and nails. I’ve now expanded to biotin, collagen, and fish oil to help with my joints. Really informative information. I’ve come and gone taking vitamins in the last couple of years and never knew what I should take. Thanks for sharing all of these wonderful resources! I wish I would have known the importance of vitamins back when I was in my 20’s. I just recently found out I was deficient in iron and b-12 and it really took a toll on my body. It’s important to make sure we’re getting the right nutrition, especially when we’re young so it doesn’t cause problems later. Thanks for sharing.. what about Vitamin E, I recently turned 30 just wondering if it’s good to start taking vitamin E also? I think vitamin E is good, a quality multi-vitamin will usually have it.